While I have read before that US President Obama's healthcare reform, aka "Obamacare" is a very expensive program that will require expensive taxes, I did not realize the extent of multiple taxes that are included in the law, until I saw this report from the Americans for Tax Reforms (ATR, atr.org). I am reposting this ATR report and the shocking tax hikes introduced in the law. Never fails -- ambitious government programs are almost always accompanied by costly taxes and fees, or today's borrowings for taxes tomorrow. Taxpayers are reminded that the President’s healthcare law is one of the largest tax increases in American history. My two daughters are still young, my eldest is turning only six years old this coming October. This is a result of my getting married late. Nonetheless, getting them their regular shots of vaccines -- medicines injected into children and adults when they are not sick, to prevent or limit getting sick of certain diseases someday -- can be an expensive but necessary undertaking. I remember my eldest protesting loudly when we have to bring her to her pediatrician, "Papa, I'm not sick, I don't want injection!" It's good that she has overcome her fear of the needles many months ago. I am sharing three articles by Reiner Gloor, Executive Director of PHAP, on vaccines and Essential Intrapartum and Newborn Care (EINC) to protect both mothers and babies/children, posted in his weekly columns in BusinessWorld on dates indicated. I am no fan of high government involvement in healthcare as I believe that healthcare is first and foremost, a personal and parental/guardian responsibility. But for infectious and communicable diseases, I would give credit to government involvement on treating children's diseases and preventive healthcare via vaccination. Below are the three articles by Reiner. In 1736, Benjamin Franklin stressed the importance of fire prevention when he said that "an ounce of prevention is better than cure." Franklin would have not realized that his advice would go beyond fire fighting and have important public health implications today. Preventing diseases remains the most important health strategy that eliminates the burden of social and financial risks associated with curative or palliative care. Along with improved sanitation and water safety, vaccination is one of the most important and cost-effective public health innovations, and has saved about 2.5 million lives each year. In May this year, the 65th World Health Assembly (WHA) acknowledged, "vaccination is, and should be recognized as, a core component of the human right to health and an individual, community and governmental responsibility." It added that as an integral part of a comprehensive package for disease prevention and control, vaccines and immunization are investments in the future of a country. Immunization helps protect children so that they may have the opportunity to achieve their full potentials. The World Health Organization (WHO) disclosed that as a result of immunization, along with other health care and development interventions, the number of deaths among children under five fell from an estimated 9.6 million in 2000 to 7.6 million in 2010, despite an increase in the number of children born each year. Vaccinations are likewise enabling adults and the elderly to live more productive lives. While the last century was the so-called "century of treatment" following the discovery and use of antibiotics, the WHA is confident that this century will be the "century of vaccines" with the potential to address a number of serious, life-threatening or debilitating infectious diseases. 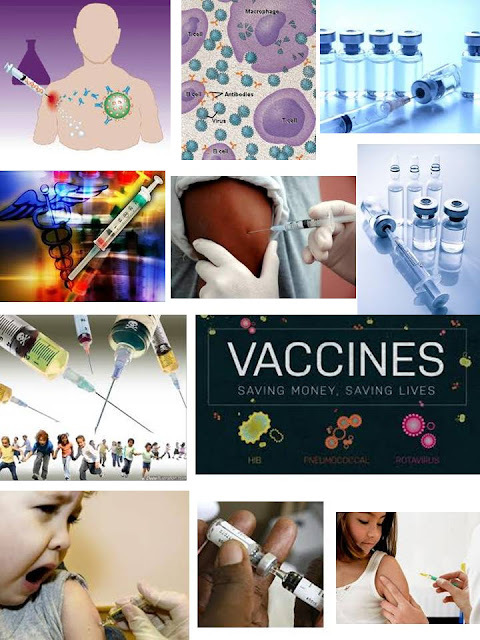 In the last 10 years, research and development came up new sophisticated vaccines such as pneumococcal vaccines and vaccines against rotavirus and human papilloma virus. Meanwhile, several vaccines are in development for neglected tropical diseases such as dengue, cholera and malaria. Also in the pipeline are vaccines for various types of cancer, allergy, HIV and other infectious diseases, as well as neurological disorders, among many others. The WHO said that there are now vaccines to prevent or control about 25 infections. Milestone have been achieved with the commitment and support of governments and international stakeholders. The immunization program data for 2010 revealed that 154 of the 193 WHO Member States have specific budget line item for immunization, while 147 have developed multi-year national plans to sustain and/or enhance the campaign and introduce new vaccines. In the Philippines, the Department of Health (DoH) implemented the Expanded Program on Immunization (EPI), established in 1976 to ensure that infants/children and mothers have access to routinely recommended infant/childhood vaccines. Initially included in the EPI are tuberculosis, poliomyelitis, diphtheria, tetanus, pertussis and measles vaccines. Reclaiming public property from the clutches of traditional politicians. This page is a venue for the public to share photos of PUBLIC SERVANTS who've displayed their names or images in public places in furtherance of their careers. There are many photos uploaded there, pictures of politicians who put their names and faces on certain government projects. Copy-pasting some of these photos from the said fb group. 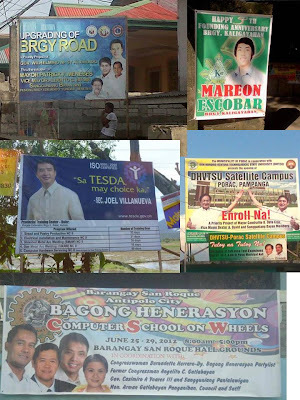 Even party-list Cong. 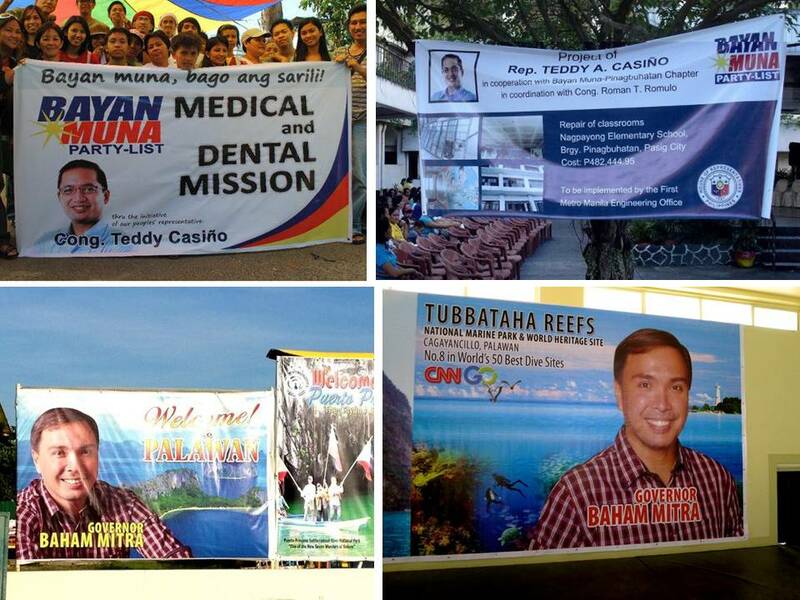 Teddy Casino is doing it too, he's running for Senator in next year's elections. 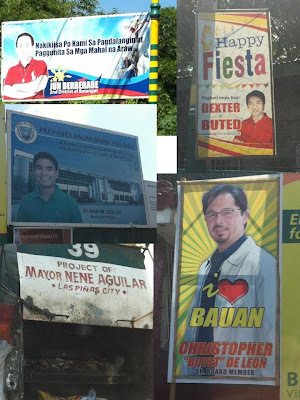 The Governor of Bulacan is more "creative", putting his face in the official receipts (OR) issued by the provincial government and/or city/municipality in the province. These are early campaigning by Makati City Mayor Jun-jun Binay and his runningmate in the elections next year. 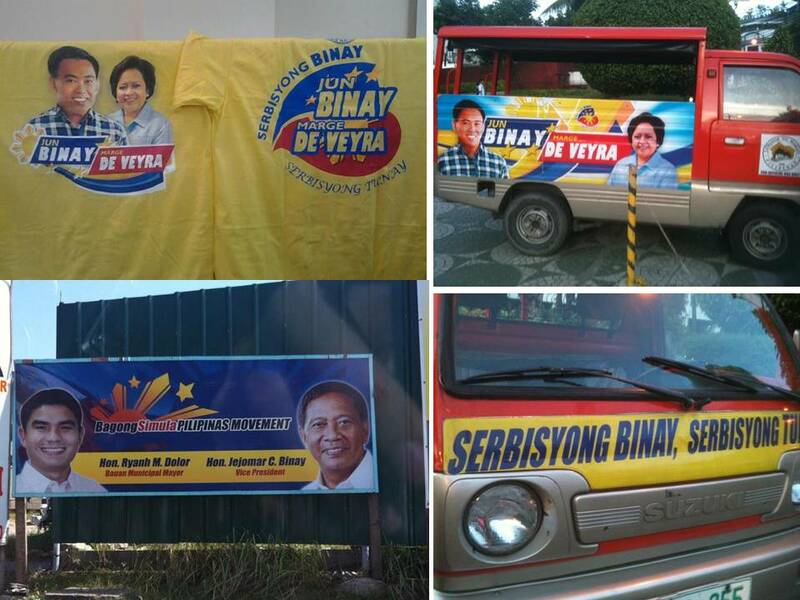 Also a photo of VP Jojo Binay. Yesterday, I posted this in my facebook wall. The $1B PH loan to the IMF for Eurozone reserve fund won't come from tax money but from BSP's international reserves. It is within BSP's mandate and resources to do so. Still, I don't support helping to bail out fiscally irresponsible governments with more loans when those governments have lots of state-owned enterprises, financial instns and assets that can be privatized to raise domestic revenues, instead of endless taxation and borrowings. I was happy to see some serious exchanges and comments from some friends, below. I am posting these comments without asking the permission of these guys for two reasons. One, my fb wall is a public wall anyway, and two, many of the points raised here are no-nonsense ideas and would greatly help educate the public on the merits and demerits of this recent move by the central bank/BSP. 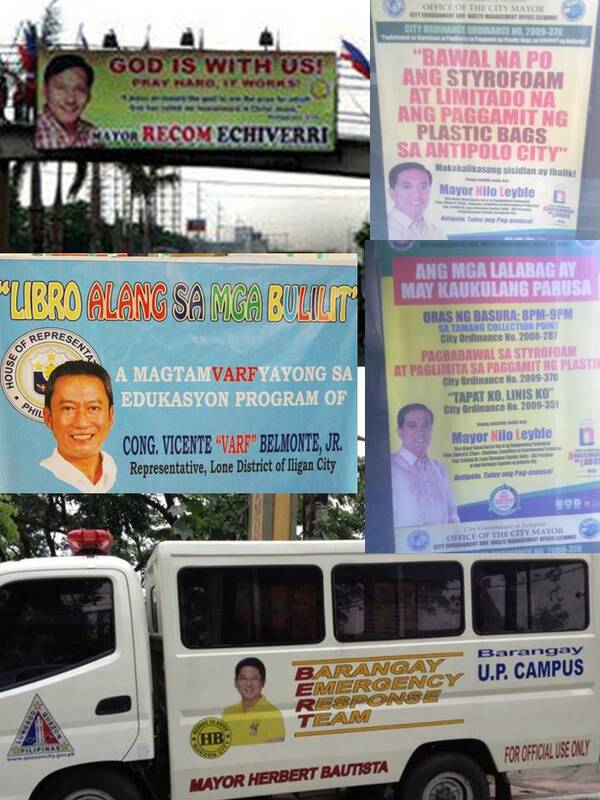 Butch Arroyo But if you were the BSP what else would you do with the $s? BSP evidently doesn't want to sell the $s to the local economy and make the PHP stronger. So it has to push out the $s. But everything else out there they could put it into is either risky (and wouldn't be allowed to count towards "international reserves"), or safe but very low-yielding. A loan to IMF might be the highest-yielding of the alternatives that are acceptable for designation as international reserves. The European bailouts are painful and costly result of policy mistakes of the EU in not enforcing the fiscal and public debt requirements of the original Maastricht agreement. I agree that those governments (the borrower govts for sure, but also the Germans, who weakened fiscal discipline in the EU by themselves violating the fiscal pact) deserve the wrath of their constituents. But until they get voted out they are (unfortunately) still the democratically elected leaders of these countries. If the leaders of the center countries (FRA, GER) still favor a bail out of the problem governments rather than allowing an exodus from the monetary union, the IMF will probably have to go along, since the only other countries who could vote it down-- US, UK, and, Japan-- probably support preservation of the monetary union. From PH perspective, as long as the bailout lenders retain seniority, $1B to IMF is probably a small portfolio risk for the BSP. Nonoy Oplas Thanks Butch. If I were the BSP, I will use some of my $77 B gross international reserves (GIR) to buy and hoard more gold plus other precious metals. My beef is that by pooling rising amount of bail out money, it will create moral hazards problem for those indebted countries. They have many govt-owned corporations, financial institutions, national parks, military camps and other assets, things that can be privatized to raise local revenues to deal with their spending requirements and debt obligations. I have not encountered much literature that those governments are taking this measure. Rather, they made limited or bogus austerity then issue some warnings that their debt problem can "spiral to the global economy unless the world will send them more money." By not participating in the creation of more moral hazards problem with that IMF bailout money, the PH government is sending a signal both to itself and the rest of the world, that it is time to really look inwards, there are several options and solutions that can be internally generated, aside from endless borrowings and issuing a blackmail of global fiscal crisis unless they are given more bailout money. Jules Calagui It is high time that we create a Sovereign Wealth Fund. We can set aside $20 B to start one and still left with over 6 months of GIR to cover 7 months of imports. Benson Te The Bangko Sentral ng Pilipinas is a creation of the Philippine Congress REPUBLIC ACT No. 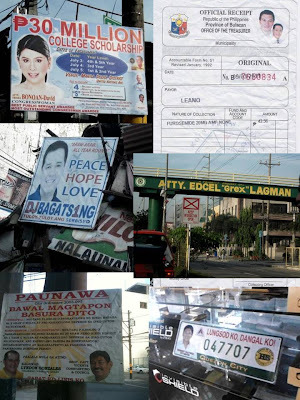 7653 and hence every exposure it does exposes Philippine taxpayers. To give you an example, the liabilities of the old central bank (central bank ng Pilipinas, according to Malcolm Cook valued at over 300 billion were shifted to the newly created, off-budget Central Bank Board of Liquidators. In short, the liabilities of the old central bank was passed on the taxpayers. Giovanni Rodriguez Agree with you Noy, the financial crisis in Europe and the world is the culmination of a failed experiment - fiat money ! Todd Foster So a country who still has many scratching out subsistence levels of living is loaning to a country, so it's residents can better afford their new "right" of do-overs on their vacations, if they got the sniffles on vacation #1? That's just plain evil. Malou Tiquia Butch Arroyo, I really do not agree with your "small portfolio risk for BSP line. Point of the matter is we need the money here and not to support a failed system worldwide. Bail outs have proven to be not the right thing to do and really the Phils as lender is just a stunt to project the "breakout nations" status. Why not use the $ locally? BSP has to be creative, instead of FER what Jules Calagui posted is something worth considering. With SWF, it maximizes long term return, with foreign exchange reserves serving short term currency stabilization and liquidity management. There is a way to go than serve the ends of IMF. The world is in search of a new economic order and IMF has been part and parcel of failure of nations to handle responsibly fiscal and monetary policies. I fully share Nonoy Oplas' position here. 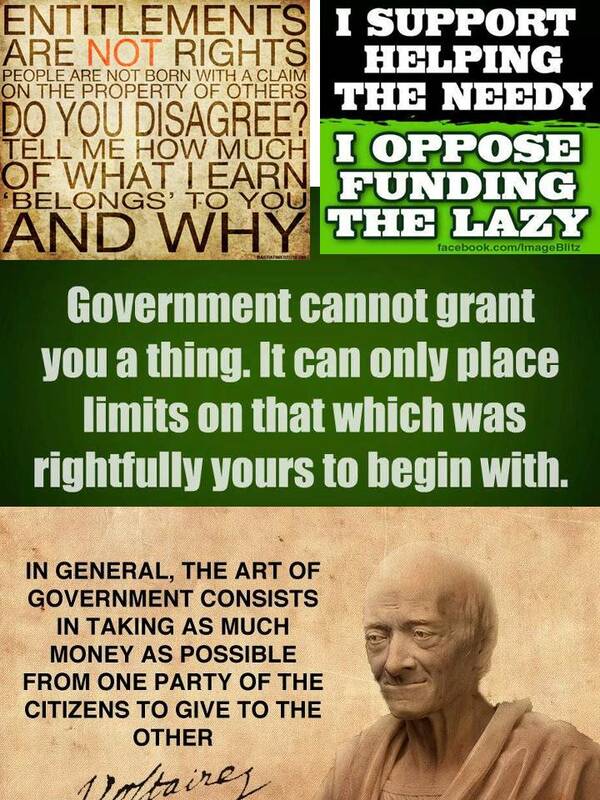 Its time to go back to the drawing boards and bailouts are not the way to go! That's IMHO. Casey Phyle The only thing that could possibly justify the Phils lending $1B to save Europe is the hope of not losing an important export market. But that is a vain hope, as lending to people who owe more than they can ever pay back is not the smartest thing to do. Borrowing more only makes their hole deeper. Some say it was intended like that by the money power who, on the way to NWO or One World, wants to force its will on the nations. So far that appears successful. The Philippines should not tie its raft too tightly to a sinking ship that will probably go down this year. On the other hand, the Philippines have been the recipient of western aid for long enough and have improved their situation at least this far. Now that they have a little cash on the side they probably thought it was only right to reciprocate and show some solidarity. Difficult to judge. That 1B would have stayed with the CB anyway and never gone to the people. Now the Phils will have a marker from IMF/Europe for $1B, with gold at $1600/oz. People engage in trade because they benefit from it. While there are losers in trade, there are also gainers and overall, there is “net gain” in trade, whether domestic or international trade. This fact continues to evade the consciousness of many protectionist groups and advocates, like the campaigners of “Buy Local” movement. I notice recently the sharing in facebook of a photo, “Top 10 Reasons to Buy Local”. Among such reasons are: strengthen local economy and support community groups, reduce climate change impacts, and create more good jobs. I also have some reasons for free trade and why protectionism is wrong. 1. Filipino producers and exporters of pineapples, bananas, mangos, other fruits will be unhappy if their current buyers abroad would reduce if not stop buying from them as those consumers embrace "buy local" in their countries. 2. "Buy local" strengthens the local economy, fine. But when people buy imported goods, like imported laptops, imported cellphones, they also strengthen the local economy by improving the productivity of people via modern technology. 4. 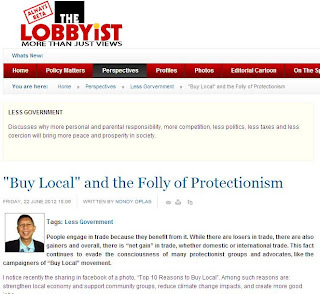 “Buy local” reduce climate change impacts, wrong. Climate change is mainly natural, natural climate cycles of warming-cooling-warming-cooling. Even if people will stop international trade and throw all ships, trucks, cars and appliances, global warming will still occur naturally. 5. “Buy local” is loving/supporting our own. Yes, we need to support our own, our own lives, our personal interest as consumers. Producer 1 (a Filipino) sells some nice running shirts for P500. Producer 2 (a Thai or Vietnamese) sells a similar running shirt with similar quality for P300 only. Producer 3 (another foreign supplier/exporter) sells similar shirt for P275. Since people love their own selves, then they would know from whom to buy..
Trumpeting "buy local" is not protectionism per se, not yet, but a prelude to it. How would one convince other people and policy makers to impose (or retain existing) tariff and non-tariff restrictions to imported goods if not trumpeting "buy local" as a clear alternative. Even the most protectionist farmers and producers are actually aspiring for free trade somewhere. They want their sector, sub-sector, or products, say rice, to be protected from foreign competition. But they want free trade and free choice when they want tractors and their parts, toys, shoes and clothes for their kids and family. Or they want free trade when they need to buy a new appliance/s. A poor household whether in rural or urban areas, benefit from rice free trade. What used to be P40 per kilo rice can be sold for, say, P30 per kilo. That household realizes a “consumer surplus” (the difference between what a consumer is willing to pay vs. what he actually paid) of P10 per kilo. If they consume 2 kilos per day, they realize a P20 per day savings or P140 per week. This household will not throw away that P140 per week consumer surplus. They will use it to buy an extra kilo of chicken, or extra 1.5 kilo of tilapia, or extra 2 kilos of vegetable X, and so on. So the “buy local” campaign peddles the pernicious and false argument that patronizing imported goods is bad for the economy. In reality, whatever can help the various economic actors to become more efficient producers, ie, producing the same or more output for less input, is good for the economy and the local citizens. If importing better quality tractors compared to locally-manufactured ones will improve the per hectare harvest of certain crops, then the “buy foreign” has contributed to higher economic output, higher income of local farmers. Trade protectionism, economic nationalism, even cultural purism, do not contribute, or contribute very little, to economic growth and world peace. Free exports and free imports of various goods and services expand people’s horizon and network to other culture and economic system abroad. This contributes to greater understanding of other people in other countries with their specific cultural belief and practices. A “buy local” campaign may look innocent and harmless because there is no government coercion involved. Not yet. What the campaign is doing is mainly to precondition the belief of other people that “buy foreign” is not good and hence, must be slapped with various restrictions by the government. Or existing restrictions like tariff and non-tariff barriers (health and sanitation reasons, climate adaptation and “save the planet” reasons, etc.) to imported goods should be retained for many more years and decades to come. As societies progress, the people’s aspirations to acquire better products, better technologies, better production processes, also rise. A persistent and widespread “buy local”, “avoid foreign” campaign and advocacy is a regressive and counter-productive move. We should embrace more global economic integration, more mobility of goods and services, more mobility of people -- entrepreneurs, professionals, workers, students, etc. – across countries and continents. Economic and individual freedom is enhanced this way. The popular view of healthcare is that it is a human right and a public good, and therefore should be both supplied and paid for by government, at no cost to the individual. For many commentators and policymakers, private provision of healthcare is seen as deeply inequitable and anti-poor. As a result many governments in the region are attempting to strengthen and widen the public provision of healthcare, even though a large body of international evidence shows that this is far from the best way to provide healthcare. This poses some challenging questions to free market policy researchers. To what extent does public provision of healthcare actually help the poor? How can private sector involvement in provision improve health outcomes for all, not just the rich? And what can be done to convince the public that liberalisation of the healthcare industry will benefit everyone, including the underprivileged? 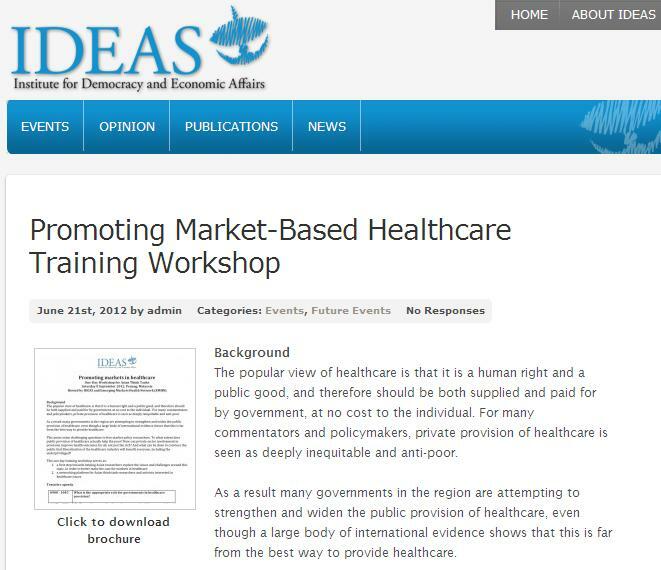 It is definitely a good international forum and networking opportunity for think tank leaders and healthcare policy researchers who somehow believe that (a) while health is a right, health is also a (personal) responsibility, and (b) while there are market failures and problems to healthcare, there are also market solutions to such problems. I am very happy that IDEAS has started this great initiative. Cheers Wan. Traffic congestion is an engineering problem with an engineering solution, or a market problem with market solution. Government regulation needs to be kept to the minimum as it often creates more problems than solutions. One major cause of traffic congestion is the big volume of private vehicles on the roads. And one major reason why people drive their cars in going to work or bringing their kids to school, is because the public transport system is inefficient in many places. If one will take three to four rides from house to office, and take the same number of transfers going back home, many people who have cars would rather drive their vehicles than endure such inconvenience and high fare costs. One transport innovation that was invented in many private elementary and high schools is car-pooling via school bus or vans. These well-marked vans, accredited by the government and the private schools, would pick up young students from their house to their school and back. It frees the parents and guardians of precious time, fuel and car maintenance in driving the kids to school and back. The kids are also able to socialize with each other inside the vans. This system can apply to university students and working people. House-to-house pick up of passengers and bring them to a few drop-off points near their universities or offices. Presently, the government, through the Land Transportation Franchising and Regulatory Board does not recognize or approve this scheme The closest scheme that they allow is the garage-to-terminal or terminal-to-terminal system. This means that people who live in gated villages or in faraway subdivisions, still need to be brought to the buses’ or vans’ terminal by car, tricycle or jeepney. If the school bus type of car-pooling will be applied, many university students and working people will not be driving their cars or motorcycles everyday. If car-pooling is made more convenient, then many people will gladly leave their cars at home and just sleep or do something else while inside the vans. And road congestion, parking congestion, will be significantly reduced. They can use their cars on weekends or in evening activities. This new scheme will require new changes on the public transportation system. One, transport branding (bus or van line A, B, C, etc.) will be encouraged and these companies will become more transparent and more accountable to their passengers and clients, as well as to government law enforcement agencies. Two, route monopoly and oligopoly – by tricycles, trisikad/kuliglig, jeepneys and buses – as assigned by the LTFRB - and the municipal/city government in the case of tricycles – will be disbanded. Three, fare regulation will be abolished too. Competing brands or bus/van lines will offer good quality units at reasonable fares in order to attract more clients. There will be no need for the government to mandate certain fares as the passengers themselves will decide which bus/van line will offer them the cheapest or more reasonable fares based on certain quality of services (new vans, wider seats and legroom, etc.). Four, the procedures, taxes and fees to get a bus/van line franchise should be kept to the minimum. Offering a service to the public like car-pooling is not a criminal activity and hence, should not be penalized with circuitous processes, multiple taxes and fees, and bureaucratic red tape. It is possible that certain public transportation modes (tricycles and jeepneys), the LTFRB and local government units, will not support this scheme, at least initially. People are rational; if demand for tricycles and jeepneys will decline while demand for vans and buses will increase, then operators will get those vans and join the competition. It is the LTFRB that will most likely offer the stiff opposition because their regulatory powers to (a) give franchise to individual jeepneys and vans, (b) set route monopoly or oligopoly, and (c) set fares will be diluted if not abolished. Fare setting should be depoliticized and debureaucratized. Companies that offer better services like more modern and more comfortable vehicles, more courteous drivers and fare collectors, drivers who obey traffic rules and have minimal to zero involvement in major accidents, can charge higher fares. Those who have older and less comfortable vehicles can charge lower fares. The commuting public, support groups like NGOs, media and local politicians, can convince the LTFRB and LGU bureaucracies, to drop their opposition. The scheme is working well for private school car-pooling, it can work in car-pooling for working people and university students. This does not mean zero role for the government transportation agencies like the LTFRB and DOTC. If public transportation providers violate their contracts with their passengers – say hiring reckless drivers or not maintaining their vehicles in good condition, resulting in some major accidents causing injuries if not death to passengers – government comes in to enforce contracts, to promulgate the rule of law. Public transportation is a “contract” between passengers and public utility operators and drivers. Those that offer bad service (including frequent incidence of passenger hold-up) or unreasonable fares will lose their passengers and they will go bankrupt naturally. Those that offer good and safe service even at higher fares will keep their passengers and their business will naturally expand. Less government intervention and monopolization, and more economic freedom, more competition among private enterprises, is the best way to lessen traffic and pollution. A guest post from my friend, Jules Calagui, collated from one of his recent facebook status updates. Photos below, I just added. I don’t eat McDonald’s food, but I vehemently defend the right of people to eat it. As soon as the government becomes the arbiter, by edict, of what we can and cannot ingest, the frenzy in the marketplace to gain concessionary privileges never ceases. Indeed, the incessant cry to demonize one thing over another, criminalize one food over another, thunders in the ears of politicians as businesses jockey for favors and indulgences from legislative priests. 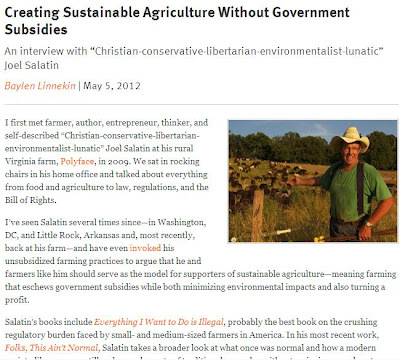 The questions/ issues often raised have a lot more to do with Liberty than with healthcare which I think is the main point of Joel Salatin. Politicians, bureaucrats have lots to learn from John Mill with matters relating to public policy and liberty when he said, "Over himself, over his own body and mind, the individual is sovereign." NOBODY, not even the state, has the right to force, limit and worse define what a person should not or ought to do UNLESS he causes harm to others. Even the person's own physical or "moral" harm IS NOT a justification for limiting his/her liberty. Exception will be children/minors who couldnt make "rational decisions" yet. How will that translate in public policy? The state has no business telling you and I what we should consume (eat, drink, inhale...), choices we make that affect our body, preferences in matters relating to personal taste as well as private life (music, art, sports, who to marry including dissolution of marriage, and even the right to end one's life). Along with it is the RESPONSIBILITY, that we let others enjoy the same liberty and that the choices and things we do causes no harm to others. Drink as much as you like, as long as you dont drive. Smoke as much as you like as long as you respect others their right to breath clean air. Again, the assumption herein is that you are a rational person. Unfortunately, the capacity to act rationally has to be quantified with such concepts such as age of consent, age of criminal responsibility etc. The State should only intervene when our actions causes harm to others. 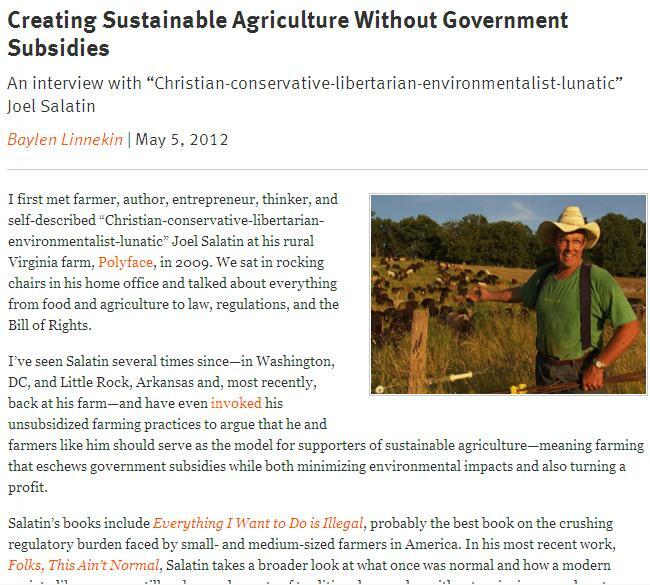 An equally important point raised by Joel Salatin is the danger of government regulation. When ever, "government becomes the arbiter, by edict, of what we can and cannot ingest, the frenzy in the marketplace to gain concessionary privileges never ceases." Concessionary privileges - corruption for short. Healthcare - every wants it but no one is willing to pay for it. There ought to be a distinction between Public Health and Personal Health. Public Health Policy should be mainly revolve around what they call Primary Health Care. Unfortunately, even Public health experts cant agree on what it should be. I think the priorities of Public Health Policy should be Prevention, well being(safe and clean environment), care for children/pregnant women as well prevention and control of communicable disease. When people talk about Health, unfortunately, they often mean Healthcare - treatment, and management of illness specifically those offered by medical/health professions/institutions. UNLESS it is care for children/pregnant women and control/management of infectious disease and epidemic - Healthcare is a personal responsibility. The Freedom to Chose (Liberty) is inseparable with the responsibility to be accountable for the consequences of the choices we make. Are you willing to pay for the cost of treating my illnesses which are a result of my own personal choices? Much of most Healthcare treatment that we want to be part of Government services are mainly diseases resulting from personal choices. Stroke, diseases of the heart, lungs, liver, colon and to large extent even breast cancer are lifestyle diseases. Public Health Policy should be geared towards education and prevention - that I think is where taxpayers money should be spent. Most of these lifestyle disease can be prevented if we only: eat the right amount (mas marami namamatay sa katakawan kaysa gutom! ), consume more fibers, vegetables and less of fat and excessive carbohydrates, sweet. And exercise regularly - which could be a daily walk of 10,000 strides/steps. Studies also points to evidence that women who postpone pregnancy late in life, specially those who chose not to have kids at all, are more likely to have breast cancer. What is also critically lacking, especially in Manila, I think are safe public spaces to walk and cycle. Public spaces should not be devoted merely to building roads for cars - efforts should be made that we have safe (dedicated) places to pedestrians and cyclist. On the question, Should we tax tobacco and alcohol? I think we should, but mainly on one ground - to make it expensive for young people/children to afford. And when we do tax them, the revenues should only be earmark to efforts in promoting awarness about the their harm as well as creating facilities where smokers can enjoy their fix. 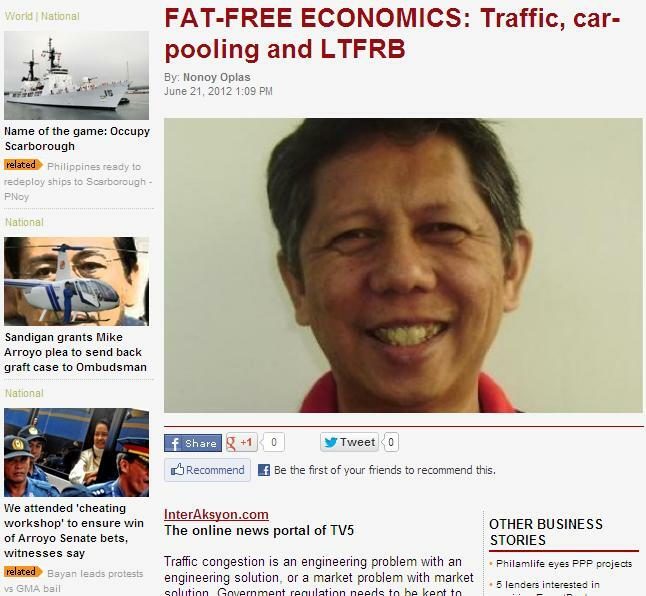 Posting a feature article in BusinessWorld nearly six years ago, I just found in one of my computer folders. Part of this four-pages long article is an interview of me by the author. The quotes below, I just added them. Enjoy reading. It has been widely documented in literatures that the Philippines’ economic development continues to be hampered by its weak government, in any form it takes-entrenched government corruption, bloated bureaucracy, ballooning budget deficit, inconsistent regulations, extensive government ownership of business, etc. Yet there seems to be a void in calling out for a reduced or limited government clout in the country as a means towards achieving a better economy for the Filipinos. "Small government and small taxes is still a losing proposition at the moment, advocated by only a few souls which are politically weak compared to the voices of statists who endlessly call for more subsidies, more government positions and offices, more foreign aid," said economist Bienvenido "Nonoy" Oplas, Jr., head of the group called Minimal Government Movement (MGM) in the Philippines, advancing the concepts of small and limited government, small and few taxes, free market and free trade, and more individual freedom and responsibility. Not to be compared with extremes such as total anarchy and communism, proponents of minimalist government argue that government, while a necessary institution for maintaining social order, should be focused on few, limited functions, "such as the enforcement of property rights and contracts among citizens, foreign affairs and national defense, currency and monetary regulation, among others." Counterfeit drugs are dangerous. A patient taking it may develop new diseases as the original illness is not cured and may have evolved into something more serious inside the patient's body. In the Philippines, a global research marketing group disclosed that one in three Filipinos have access to the internet. The 2011 Nielsen report further said that five in 10 survey respondents have high-speed internet connections at home while others frequent cafés or use their mobile phones to surf the Web. The rapid growth of internet penetration in the country is expected to result in huge benefits. However, a recent global meeting of world leaders called for the need to put up barriers to threats that could adversely affect a user’s health, among others. The so-called Camp David Declaration of the Group of Eight Nations recently pledged to protect public health and consumer safety by committing to exchange information on rogue internet pharmacy sites that sell counterfeit medical products. 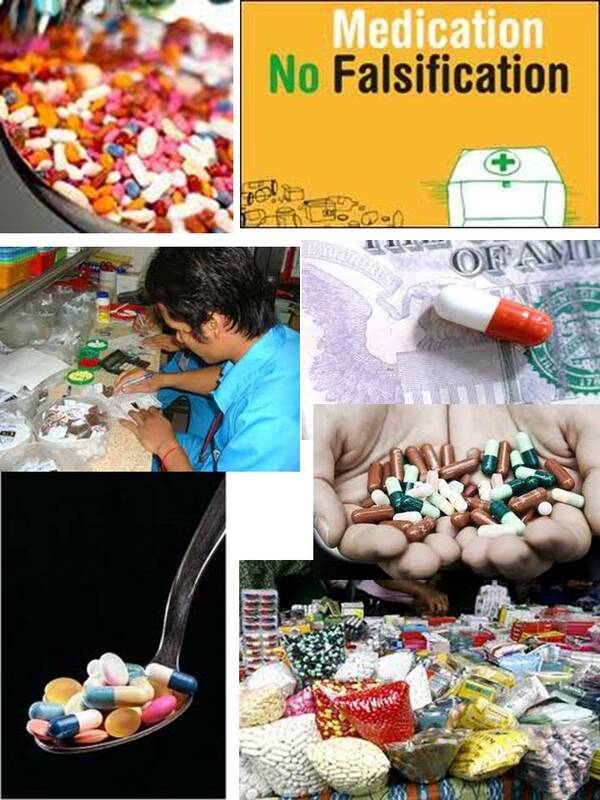 The Declaration came ahead of World Anit-Counterfeiting Day on June 7 that also focused on pharmaceutical counterfeiting. On May 29, the US Food and Drug Administration (FDA) warned consumers and healthcare professionals about a counterfeit version of a medicine used for the treatment of attention deficit hyperactivity disorder (ADHD) and narcolepsy. The fake version of the controlled substance is being sold on the internet. Developed countries have established a system of regulating legitimate online pharmacy sites. But even with safeguards, counterfeit medicines continue to be a threat to those who purchase drugs online. Some copycat medicines sold on the internet fit the World Health Organization (WHO) description of “spurious, falsely labeled, falsified and counterfeit” medicines. Their ingredients are too strong or weak, have dangerous ingredients, are expired, and are not manufactured using safe standards. If taken by a patient these could have dire health consequences. Furthermore, fake pharmacy sites sell medicines that are not appropriate for one’s condition while other sites place personal credit information at risk. The Economic Freedom Network (EFN) Asia has announced last week that the Annual Conference this year will be held in Hong Kong this coming November 5-8. EFN Asia annual conferences are sponsored by the Friedrich Naumann Foundation for Liberty (FNF). My first exposure to EFN conferences was in 2004, also held in Hong Kong. 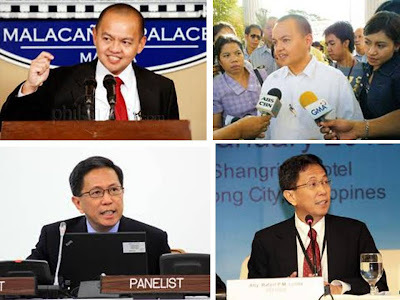 When we formed Minimal Government in early 2004 -- not yet as a think tank, more of a small political movement for liberty and free market -- I have not met any free marketer yet outside of the Philippines, nor did I have any idea that there were existing regional and international network for free market. When the Atlas Economic Research Foundation gave me an international fellowship for one month in the US in April 2004, I was amazed at the wide network of free market-oriented think tanks and groups worldwide. But I met only a few Asian free market leaders there. Like Parth Shah of the Center for Civil Society in India, Barun Mitra of Liberty Institute also in India, Andrew Work of Lion Rock Institute in Hong Kong, Jargal Dambadarjaa from Mongolia, Cuong Nguyen from Vietnam, and Ellen Cain of the Foundation for Economic Freedom here in Manila. When the EFN Asia conference was held in Hong Kong six months after that, sometime in October 2004, Atlas, upon the initiative of its Vice President for Institute Relations, Jo Kwong, partnered with FNF and Jo Kwong brought to the HK conference some free market think tank leaders who were not members of the EFN Asia yet, including me. So the HK conference was my first exposure to the Asian free market network. Thanks to Jo Kwong and the FNF. At the HK conference, I was able to meet free market thinkers from China like Dr. Mao Yushi of Unirule Institute, guys from NERI, Chinese Academy for Social Sciences (CASS) and the Cathay Institute for Public Affairs (CIPA) like Xingyuan Feng. From Indonesia I met Dr. Chatib "Dede" Basri, also from India Mohit Satyanand, from Pakistan Dr. Khalil Ahmad, and many others. 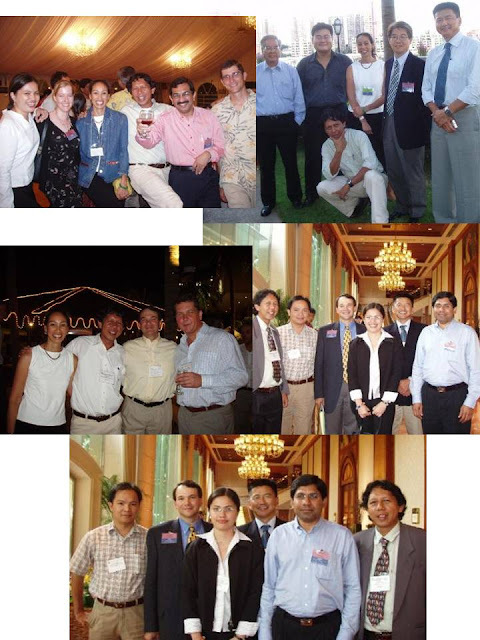 Below, some of our photos in the HK conference in 2004. Upper left photo, from left: Ellen Cain of FEF, Colleen Dyble and Jo Kwong of Atlas, me, (I forgot the guy's name beside me) and James Lawson, co-author of the annual Economic Freedom of the World (EFW) annual reports. Second row, left photo: Jo Kwong, me, Joe Lehman of Mackinac Center in Michigan, USA and Ugnius Trumpa of Lithuanian Free Market Institute. Bottom photo: Cuong Nguyen, Joe Lehman, Ellen Cain, Jargal Dambadarjaa, Parth Shah, me. Joe was a speaker in behalf of then Mackinac President Larry Reed who could not come. Last row, from left: Cuong Nguyen, Joe Lehman, Ellen Cain, Jargal Dambadarjaa, Parth Shah, me. I have also met many FNF officials in HK for the first time, like Dr, Hubertus Von Welck, then FNF Regional Director for East and South East Asia, Rainer Adam then Project Director Indonesia, Rainer Heufers from FNF Malaysia, Ronald Meinardus from FNF Philippines, Siggi Herzog who later replaced Ronald in heading FNF Philippines. Hubertus later moved to Africa and Rainer Adam took his post, until now. Siggi was promoted to become the FNF Regional Director for South Asia and Jules Maaten replaced Siggi in heading the dynamic and fun-filled Philippine office. The theme of the HK conference then was something like "The Role of Asian Governments in Economic Development". The original plan, I learned later, was to hold the conference in Beijing and FNF would not be mentioned as the main sponsor, but Unirule, NERI, CIPA and Atlas. But the Chinese government showed a not-so-happy attitude in hosting such a possibly controversial conference. Sensing difficulties in securing a permit from the government, and the consequent difficulty in getting a visa for international participants, the organizers have to move the venue to Hong Kong, just a few months before the scheduled dates. This year, the conference theme will be How Welfare Populism Destroys Prosperity-The Populist Challenge to Economic Freedom. This is a good theme, just look at Europe, the US and Japan now. Heavy welfarism, forced equality and forced collectivism policies are punching huge holes in the public finance position of these countries, also huge holes in the pockets and savings of many taxpayers in these economies. The Lion Rock Institute (LRI) will be the co-host of FNF in organizing this conference. Big work for LRI Executive Director Peter Wong and other LRI guys like Simon Lee, Andew Work, Andrew Pac Man, Nicole. LRI was also formed in 2004 along with MG.
FNF and EFN Asia are the only institutes that consistently hold an important annual conference among free market-oriented think tank leaders and individuals in Asia. They are playing an important role in asserting the liberal, individual liberty, more personal responsibility, rule of law, and private property rights philosophies in our continent. 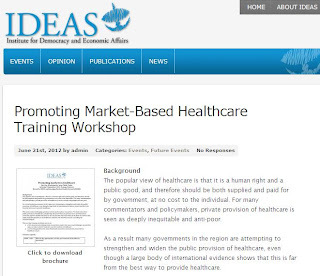 For interested think tanks, research institutes, especially the independent ones and not government-owned think tanks, that advocate free enterprise, free trade, rule of law, private property rights, check http://efnasia.org. After posting Fat-Free Econ 13: P2 Trillion of Election Spending and Taxes in our CHAT googlegroups, there were a few discussions among us. James Auste of the Cancer Warriors Foundation (CWF) suggested that it is okey to engage in spending splurge, so long as "we are investing in life" by prioritizing public health. 1. Interest payment of public debt, P333.1 billion. I do not know how much of the P43.3 billion DOH budget is alloted to procurement of medicines. But I notice that many LGUs are spending high for local public health. 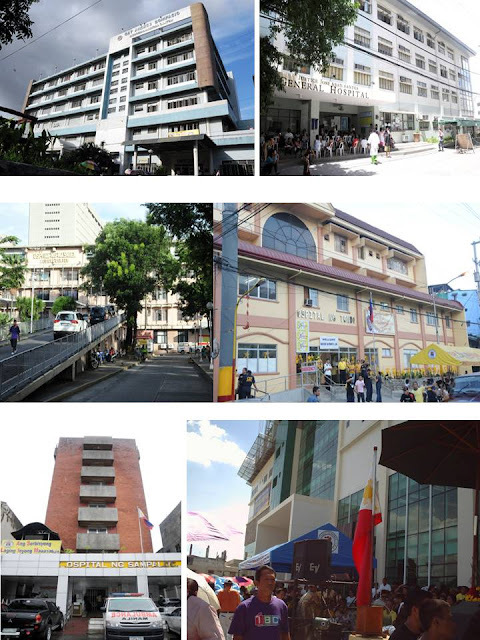 The Manila City government alone maintains 6 city-owned hospitals, some are more modern than the UP-PGH, like the Santa Ana Hospital, 10 storeys high, fully air-conditioned. Photos below, 1st row: Gat Andres Bonifacio Memorial Medical Center, Justice Abad Santos Mother and Child (General) Hospital. 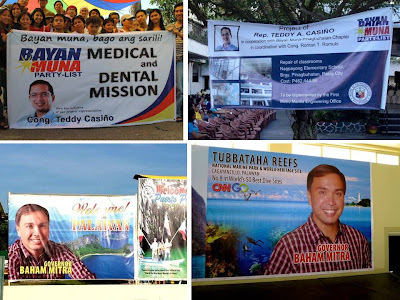 3rd row: Ospital ng Sampaloc, Santa Ana Hospital. Other rich municipalities and cities and almost all provinces, have their respective municipal/city hospitals, provincial hospitals. One irony of the supposed independence of the Judiciary from the Executive branch in the Philippine government, is that the Chief Justice (CJ) and all other Justices of the Supreme Court, are appointed by the President of the country. Although there is a Judicial and Bar Council (JBC) that shortlists and narrows down the list of nominees for the posts, say from 20+ nominees to only three, the final judgment of who should comprise the highest court of the land still rests in the hands of the President. It is a legal and technical limitation indeed. But if not the President, who will appoint them, the non-elected members of the JBC? Should Justices of the SC run for elections, say among lawyers, and winners will become Justices of the SC, and they will elect among themselves who will be the CJ? All these are not plausible either. So we have to live with the current set up. Not a perfect one but is working nonetheless. There are more than 20 nominees now, all of whom have accepted their nomination and many of them are "outsiders", meaning currently not Justices, for the new CJ of the SC. They include a number of officials in the current administration, academics, corporate practitioners. I am posting two good ideas from two good lawyer-friends. One from current UP Law Dean Marvic Leonen, and one from former UP Law Professor, former DOE Secretary, Raphael "Popo" Lotilla. Marvic and I belonged to the same undergrad organization in UPSE, the UP Economics Towards Consciousness (ETC) although he's one year senior than me. Popo was a former dormmate from Narra Residence Hall in UP. I like Marvic's questions, they are direct to the point. And I like Popo's arguments why he declined his nomination to the post. I believe that all "outsiders" among the current nominees should back out, and consider being nominated as one of the Justices to fill up the vacancy of someone who will be appointed as the new CJ. Photos, Marvic on the top, Popo below. Here are the two papers. (1) What do you think are the various credible ways to "read" the constitution? What is your preferred interpretative modality? (2) Do you think that the Court improperly flip flopped in the PAL Labor Case? in the League of Cities Case? Would you think that this would impact on final and executory cases pending in lower courts or cited as precedents in the future? What measures, if any, would you seek to introduce to prevent these incidents to happen again? (3) Do you agree with the current state of jurisprudence of the Court relating to those who criticize it? For instance, do you agree that academics can be held liable for criticisms of decisions rendered by the Supreme Court? Also, do you agree with the current standard that journalists must meet in order to escape punishment from the Court? (4) Do you agree with the current state of jurisprudence relating to media and the courtroom? Why or why not? (5) Do you believe that constitutional rights to privacy are unduly infringed if foreign currency deposits of public officials are made public? Why or why not? (6) What is your position on affirmative action and minority rights? Questions to test the managerial knowledge of the candidate. (7) What interventions, if any, would you introduce to speed up the delivery of justice in all our courts? Why do you think these interventions have not been introduced or completed in the past? (8) Recent studies in law and economics point to the importance of administrative fees both to filter cases and to enable the litigants to internalize the costs of litigation. Do you agree in changing the basis of docket fees so that it becomes a percentage of the networth of all the plaintiffs rather than on the nature of the litigation? Why or why not? (9) Do you agree with the proposition that it would be better if the President named his choice for a judicial position and this be vetted by the Commission on Appointments rather than by the Judicial and Bar Council? Why or why not? (10) Can you give us a briefing of the various reforms put into place by various Chief Justices in the past to increase access to justice? What additional interventions, if any, would you introduce? I have considered thoroughly the nomination that you have submitted to the Judicial and Bar Council, and I can only express to you my sincere thanks, but regretfully have to decline. In the past, I took the position that in a highly politicized context as in the Philippines, appointment to the office of the Chief Justice based on seniority is a tradition that minimizes the jockeying for appointment from within and outside of the Court. I still have to be convinced of the wisdom of departing from that view. Without any legal compulsion behind it, this tradition was, in instances few and far between, set aside. But, time and again, its restoration has been welcomed with relief, like a lost valued symbol of character regained anew. Today, we have an opportunity to restore the tradition—or completely to overturn it. It reminds me of a story told, apocryphal perhaps, that the much venerated Justice Jose B.L. Reyes—who was older in age but less senior in tenure in the Court than the respected Roberto Concepcion—was considered for appointment as CJ to allow him to occupy the Court’s highest position. J.B.L., it is said, would have none of it. The tradition of seniority has a way of muting political ambitions and insulates to some degree the office of Chief Justice from the patronato system. Over the long term, particularly under future presidencies whose virtues we are unable to anticipate at this point, adherence to the principle of seniority may still be our best option. Restoration of the tradition, which is entirely of Philippine innovation, would then shift the national focus to the quality of every future appointment to the Court, and away from the position solely of the Chief Justice. Would not this be in better keeping with the collegial character of the Republic’s Supreme Court? I suggest that only for overwhelming reasons, such as the inability of the incumbent members of the Court to redeem themselves and the institution, should we consider appointing from outside of the Court. Whether these weighty considerations exist, the appointing power can be a better judge from the unobstructed view of the leader’s lair. But my own individual assessment is colored with undisguised optimism: that the members of the Court, individually and as a collective, have distilled from recent experience lessons of primordial import for rebuilding and strengthening national institutions including the Court itself.